The Ducati brand has a well-known reputation in the world of Sports Bikes. It has two well-reputed models, i.e. 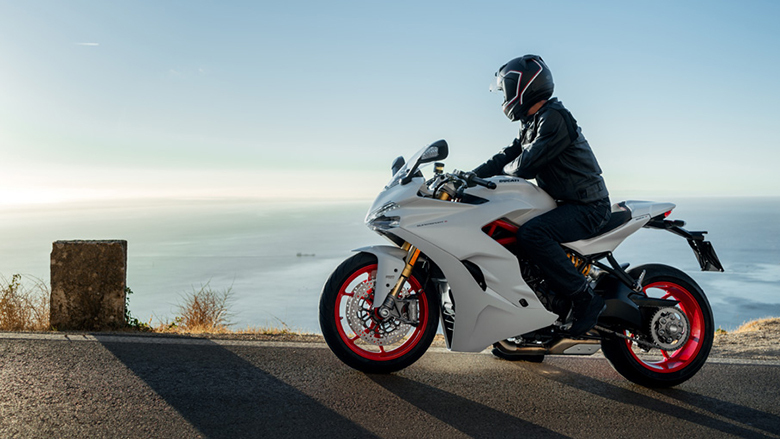 SuperSport and SuperSport S. This year it has launched the new 2018 Ducati SuperSport / SuperSport S Sports Bike for those riders who are looking for the perfect solution for everyday road riding. These models feature the best sporty shape with the compact design and lightweight. They feature the single-sided swingarm, stylish sculpted tank, and small lateral silencer. The new high performing Ducati Testastretta 110HP engine is always ready to deliver outstanding performance. The new electronic management ensures to have a full-bodied supply with an easy to manage a response. The use of the latest technological equipment includes ABS, Ducati Quick Shift, DTC, LCD and much more. These new 2018 Ducati SuperSport / SuperSport S Sports Bike features excellent electronic packages that increase the level of active safety. 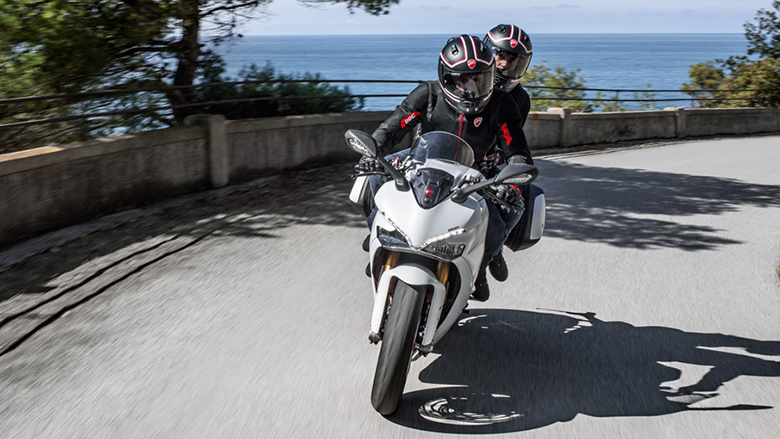 The new Ducati Safety Pack (DSP) includes the Bosch 9MP ABS and Ducati Traction Control that not only enhances performance but it also optimizes control over slippery surfaces. The SuperSport features the Ducati Titanium Grey fairing, Glossy Black wheels with fully adjustable 43 mm Marzocchi fork and an all-new adjustable Sachs shock. The Ducati has taken SuperSport S to another level regarding sport, design, and technology. It features Ducati Quick Shift up/down, seat cover, 48 mm Ohlins fork with TiN coated inner tubes and much more. The new 2018 Ducati SuperSport is available in $12,995 while the 2018 Ducati SuperSport S model is available in $15,195 only. The new 2018 Ducati SuperSport / SuperSport S Sports Bike features the powerful 937 cm3 twin-cylinder Ducati Testatretta 11-degree engine. 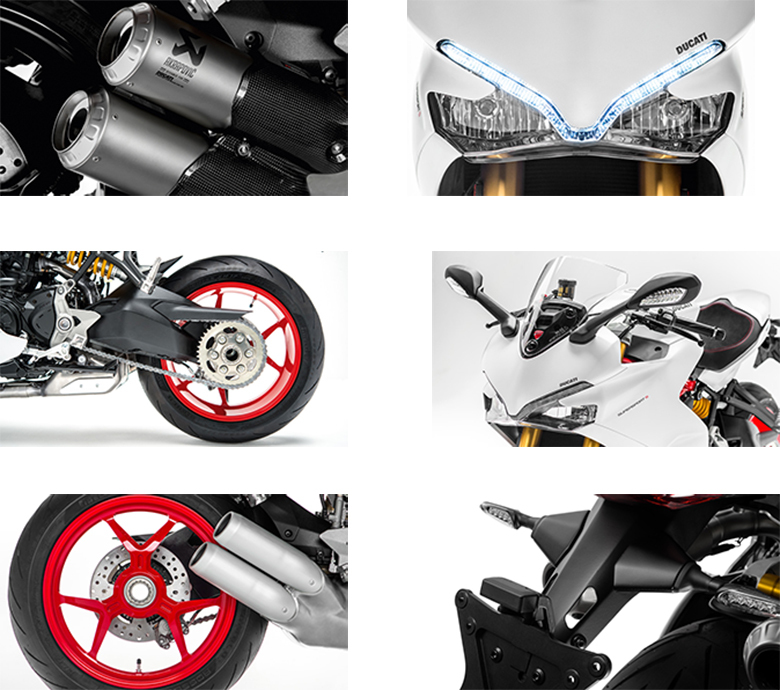 These sports bikes have been approved by Euro-4 technology. The driver contains four-valve per cylinder, secondary air system, new liquid cooling, and 12.6:1 compression ratio. The bore to stroke ratios is about 94 mm and 67.5 mm respectively. The engine is capable of delivering the massive amount of output, i.e. 110HP at 9,000 rpm while the maximum torque of 93 Nm at just 6,500 rpm can be achieved. The new crankcase and cylinder heads have been redesigned to make the power unit an integral part of the frame. The latest Ride-by-Wire system controls the large throttle bodies of about 53 mm. This system is an electronic interface between the twistgrip and engine. It configures an ideal power response depending on the riding mode selected. This electronic interface can set a perfect power response depending on different riding modes. There are three different riding models with different power output. 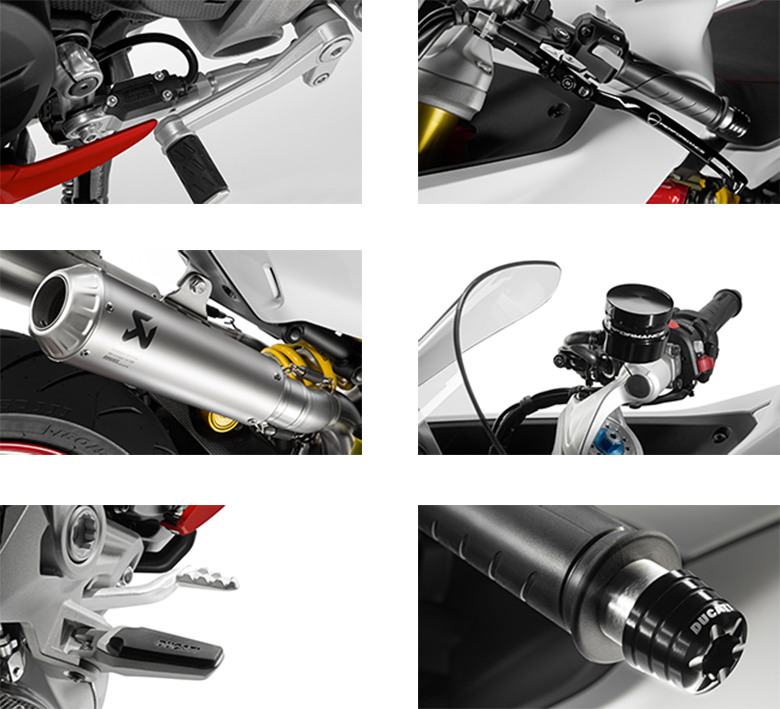 The new Ducati Quick Shift (DQS) up/down is an electronic system, which is derived from racing that allows the rider for gear changing and shifting without even using the clutch. The DQS helps the rider to save precious seconds during race or city traffic. These bikes require low regular servicing they usually have the service maintenance interval of 15,000 km. The new 2018 Ducati SuperSport / SuperSport S Sports Bike features attractive chassis like in 2017 Ducati SuperSport Sports Bike. These bikes ensure to have a perfect aerodynamic body with the maximum rider’s freedom of movement to have a comfort sports riding. The rider can enjoy the low seat height of about 810 mm allowing him to place his feet on the ground. The handlebar height allows the rider to have good control over the bike. The new height-adjustable Plexiglas screen can be set at two different positions. The rider and passenger footpegs give maximum comfort. The aggressive sports rim design emphasizes the overall sporty attitude of these sports bikes. These bikes feature the Y-pattern 3-spoke wheels in lightweight aluminum. The wheels are attached with the new Pirelli Diablo Rosso three tires. The 120/70 ZR 17 is used at the front end while 180/55 ZR 17 is used at the rear end. 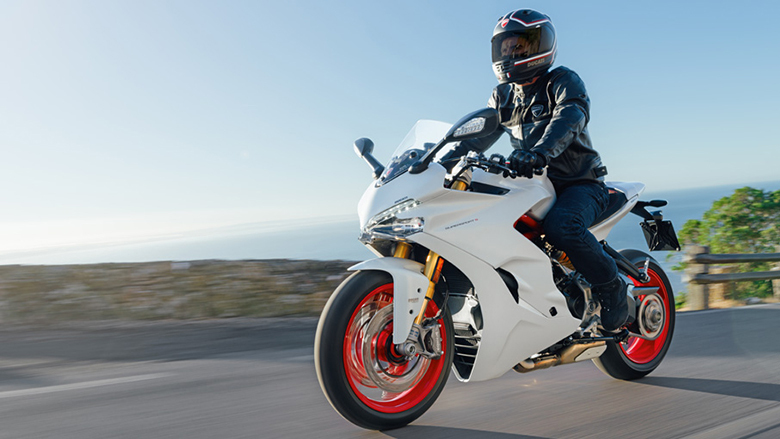 The new 2018 Ducati SuperSport / SuperSport S Sports Bike features the robust die-cast aluminum single-sided swingarm, which ensures to have high strength and low weight.